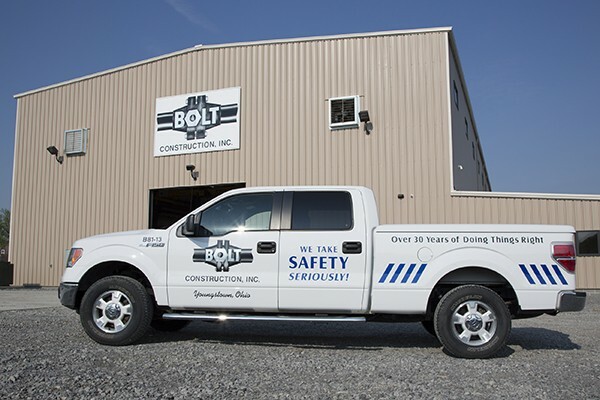 With more than 35 years of doing things right, we take safety seriously at Bolt Construction Inc. Ensuring that our employees return home safely to their families is our number one priority. 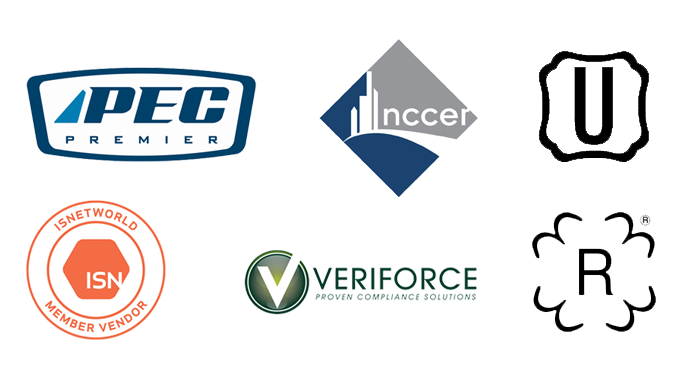 Bolt is a proud member of the National Safety Council, NCCER, and participates in Ohio BWC ISSP (Industry Specific Safety Program). Our management has made it clear that safety extends throughout the entire organization by providing a full-time safety staff and having made a large investment to provide thorough and consistent training in our on-site training center. New hires are fully trained before even setting foot on a jobsite. Testing is both written and hands-on, with workers receiving comprehensive training in safety, as well as job-specific training. 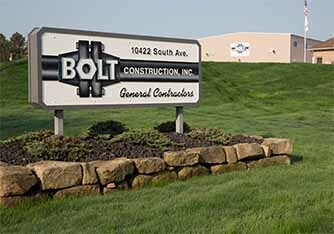 Employees complete Bolt’s extensive safety training as well as the OSHA 10-Hour Construction course to safely prepare them for the construction industry. Aside from conducting safety training, our safety department also performs regular airport and gas compressor stations safety audits, as well as shop audits to protect our employees. Some of the safety department’s duties are inspecting fire extinguishers, rigging equipment, extension cords, and power tools per safety programs, replenishing safety supplies, and investigating all accidents and near misses. We also attend monthly and quarterly safety meetings to stay abreast with all current safety protocols and manage Bolt’s safety account in ISNetworld. Our training center is also an accredited assessment center of NCCER, which has developed a curriculum for more than 70 craft areas and a complete series of more than 70 assessments offered in over 4,000 NCCER-accredited training and assessment locations across the United States. With multiple master trainers, coordinators, and proctors, we are proud to offer a variety of assessments, craft training, and performance verifications to interested participants.